TOP SECRET – DO NOT SHARE WITH ANYONE – HIDDEN SECRETS FOR SUCCESS! Do you remember playing “hide and seek?” I enjoyed it as a child and I liked playing it with my own children. You know how it works. One player closes his eyes and counts in a loud voice to some designated number. All the other players run and attempt to find a place to hide. When the counter finishes counting, he calls out, “Ready or not here I come!” and begins to try to find all those who are hiding. When playing “hide and seek,” what kind of a hiding spot did you want to find? Most of us wanted the perfect place where no one could find us. But, did you ever find a spot that was so good, you could not be found? What did you begin to do after several minutes of not being discovered? You called out, made some noise, whistled, or threw something. Why did you do this? Because you had hidden in a spot that was so good, it was boring! You wanted to do something to bring a little excitement back into the game. Some of our students are still playing hide and seek. They seek a place that is safe and secure and then hide there. “Hiding” is also being done by those who pretend to be putting forth an effort but are not truly trying to do the basics completely, with complete form and focused concentration. They do their basics, kata and sparring drills with a lack-luster effort. Over time, some people discover that these hiding places are so excessively safe, that they are boring. There is no excitement and little chance of being discovered, developed, or challenged. At some point, these people will make a decision to remain safely hidden or to make some noise. If they are content with being a mediocre student, they are happy. If they want to succeed and improve, they must decide to get involved, practice on their own and make a commitment to shine through use. A disciplined, traditional karate dojo is the gathering place for individuals who don’t want to spend their lives hiding. It attracts those who want to make some noise, take some risks, and taste success.. These people are doing more than becoming part of the easy way. They are making a statement that they want to be active players in the game of life. It is a moment of boldness and courage. These people deserve to be respected. These karateka deserve our finest help and best assistance as they take continued steps on a journey that will wonderfully change their lives. If I were to wear a hat, and at times I do when I am fishing or working around the farm, I would take it off to these individuals. ARE YOU BORED? ARE YOU ENERGIZED AND ENTHUSED WHEN THINKING ABOUT GOING TO SCHOOL OR WORK, AS WELL AS COMING TO THE DOJO? NOW YOU HAVE A PROBABLE REASON WHY! ! ! Find a life that cherishes the SUN and leave the SHADOWS of mediocrity. In January I wrote that I hoped the arrival of the new millennium would be accompanied with a new quality of life more success, freedom, love, and laughter. I was correct to be filled with hope and positive expectations. I made a mistake in assuming there is a correlation between the beginning of a new year and the beginning of a new life. SO I am redirecting my focus, not on the calendar, but on the values that will help create a new quality of life. The single most important of the elements of success, which creates change and brings success, is the ability to sustain the FOCUS in our daily lives. A dream that is wished for is very different from a dream that is worked for. A FOCUS comes BEFORE personal success. Remember how nervous you were when you first started YOUR karate training. Remember training sessions when you thought of quitting. – – but worked through the self doubt or self-centered ideas to try to find the beginner’s mind. Fondly recall how you felt when your skills started to improve and you began to see the fruits of your labor. Be grateful that you never quit pursuing your dream because the journey to success has proven valuable inwardly and outwardly. Be thankful that all of the struggles, disappointments, small victories, and major accomplishments have done more than strengthen you and enrich your life. Follow the wisdom of Coach Landry. Enjoy your journey to success. Don’t make the mistake of thinking you cannot be content, excited, optimistic, or proud until you have achieved your desired level of success. Enjoy these attitudes TODAY. Give yourself permission to stand tall and stay confident. Keep a light heart while pursuing your dreams. Bring humor to the hassles. Bring faith to the frustrations. Learn to laugh at life. One day the moments that now seem so bitter will be your sweetest memories. You might as well enjoy them now. When I trained with Master Tatsuo Shimabuku during 1964, he stated that more time should be spent on the basics, a little less time on the kata, and the least time on kumite. I think that new students should have a good understanding of the basics (stances, blocks, strikes, kicks, etc.) before they are started on a kata. This is especially true for the weapons (bo and sai). Most people teach the two empty-hand charts before the student begins the kata. They do not do the same thing with the weapons. Some dojos spend a short time teaching basic techniques with the weapons and then immediately start the student on a complicated weapons kata. I think more time should be spent on the weapon basics before we start the kata. Also, some of the combinations can be taught in advance of the kata. All techniques should be performed with form and speed. Form and Speed equal Power! To obtain speed, you must be relaxed. Master Shimabuku also stated that although we can be taught a kata in a short time, it takes years of training to really learn the kata. He told me that it would take 20 years of hard training to perfect Sanchin Kata. I would advise all students to not be in a hurry. Isshinryu Karate is a life-time art. If you train hard, especially on your basics, it will make the rest of your training a lot easier. Good basics will improve your kata and your kumite. People have built-in feelings and perceptions regarding Karate training, exercise, and the ability to learn. Most Americans are brought up to want to succeed quickly. Karate is an art that is taught using a number of methods. Some dojos test the student at regular intervals, fees are paid and the student is promoted. In others dojos, the student signs up for a certain length of time and at the end of the contract, the student is granted the promotion. Also, there are training methods where the student trains and when the level of proficiency is attained, the student is promoted. The traditional art does not guarantee promotions. It does promise to help the individual improve physically, mentally, and emotionally; if the student trains properly. Training methods are learned at the hands of a qualified Sensei, who’s attitude, encouragement, and teaching methods help the student to identify the skills, abilities, and values needed to learn. Motivation is the heart of learning and is dependent upon the purpose for learning. The nature and extent of the desire to learn will influence the degree of motivation. The degree of student motivation will determine the extent of personal involvement and help to create the persistence to overcome difficulties and frustrations. Motivation and learning are experienced intrinsically and extrinsically. Extrinsic motivation comes from outside the individual. The incentive may be to gain prestige, approval, or promotions. Intrinsic motivation is derived inside the individual due to the enjoyment of the art for its own sake. The individual derives enjoyment, relaxation, physical benefits, challenges, and an expression of “Self” from the study of the art. Intrinsic motivation does not depend upon what rank a person is but upon the values and abilities that the individual achieves. To learn, a person must be patient. To learn, a person must know that there is something to be learned; knowledge to be gained. The person must add enthusiasm and the will to learn. Karate is a progressive art. One starts training with the basics and then proceeds through kata. The ultimate goal is for the student to gain understanding of how one’s body, mind, and spirit may be strengthened. To this end, direction and guidance are added by the Sensei, while motivation and dedication are added by the student. With continuing effort and desire, the student will be guided to understand what is required to become a “true” Karate student, who is a credit to the art. People in today’s world are more educated than ever before and should be healthy. The truth is that millions of people are unwell, suffering from the stresses that are part of modern living: lack of sleep, poor nutrition (and obesity), exposure to dangerous pollutants, no exercise, time pressures and many are looking for a way to work for themselves in an ethical, growing, business that will reimburse us for the efforts we expend. People — millions of people — are looking for solutions. You can help. Help yourself first: to better rest and relaxation, better air and water, good nutrition, improved health. Without changing the way you already live! Your friends, family, neighbors will see the difference. This is the opportunity to change your life — and theirs. You can enjoy good health and financial security for the rest of your life. You can do that with my help and your own home based wellness business — as people just like you have been doing since 1975. Take the first step today, and find out what a life in balance will do for you. Check out my web site www.mynikken.net/JohnHughes. Join my Health and Wellness Team and work for yourself. Initially I had just 3 to 5 hours weekly to build a business to retire into within 5 years of starting it. With this time and the help of a friend who helped me start in this business, I did just that in less than 2 years. I WANT TO HELP YOU DO THE SAME. TIMING IS EVERYTHING. YOU ARE IN THE RIGHT SPOT AT THE RIGHT TIME TO BECOME A PART OF A WORLD CHANGING BUSINESS. I AM HERE TO HELP YOU – IF YOU WANT THE HELP. THE TIME DEVOTED BY THE INDIVIDUAL IS UP TO THE PERSON. USE MY EXPERTISE TO COMPOUND YOUR CAPABILITIES, TIME AVAILABLE. YOU WILL SEE THAT THE BENEFITS ARE AMAZING. If you want to know more about the technologies or the business – look at my web sites and e.mail for further help. Rest and Relaxation (magnetic products, sleep systems and Far Infrared technologies). Nutritional concerns were supported with the Pharmaceutical Grade Bio-directed Nutritional, Improved Weight Management Products and the Swiss Botanical Skin Care Products. “Hydro-Thalassokea” skin therapy (90 natural marine elements) for skin rejuvenation and relaxation. Environmental concerns were represented with the PI WATER – the purest water products available – improved and advanced October ’03. A 5 stage home Air Filtration & Purification Product has been introduced October ’03. Fitness – the newest piece in the Nikken product line is introducing the “CardioStide” Sneaker and “CardioSox”. 1/7th of the US economy is health. $1 out of every $2 is spent by baby boomers. If you were in business, you would want to follow the baby boomers. There is a mega-trend moving away from the high cost and side effects of drugs and surgery. Also, during this decade the baby boomers are moving from their 50s into their 60s. Anti-aging along with wellness technology will grow to a trillion dollars industry by the end of the decade. This company redefines being at the right place and the right time. At your convenience look at the information on my web sites above. Now is the time to begin to create a healthy environment for your home and work place. If you would like to see how these products could change your life and finances, give me a quick call and we can talk! I may be reached on my cell 908-797-0087 or at my karate school 908-852-5855. Tatsuo Shimabukuro, originally named Shinkichi, was born on September 19, 1908, in Kyan Village, Okinawa. He later changed his name to Tatsuo, meaning “Dragon Man.” At the age of 12, he began training with his uncle, Kamasu Chan, in Shuri-Te. He initially began Karate training in the hopes that he would be able to fend off his older brother who would frequently torment him. After a few months of training, his brother no longer posed a threat for young Tatsuo. He later studied Shorin-Ryu under Chotoku Kyan, Goju-Ryu with Chojun Miyagi, and Shorei-Ryu under Choki Motobu. Later in his life, he studied Okinawan Kobudo with the famous master Shinken Taira, from whom he learned the techniques of the bo and sai. Master Shimabuku was a Hachidan, 8th degree, in Shorin-Ryu and also developed considerable skill in Goju-Ryu and Shorei-Ryu. From Kyan, Shimabuku learned Seisan, Naihanchi, Wansu, Chinto, Kusanku, and Tokumine No Kun (Bo #1) kata. Kata which he also learned from Kyan but which he did not adopt as part of his new style of Karate included Gojushiho, Passai, and Pinan.. It is also likely that Shimabuku learned the arts of Kyusho-jitsu (pressure point fighting) and Tuite (joint locking) from Kyan. From Miyagi, he learned Seiuchin and Sanchin, and from Motobu, he learned his version of Naihanchi kata, as well as kumite techniques and how to properly train with the makiwara. From Shinken Taira, Shimabuku learned the following weapons kata: Chatanyara No Sai, Urashi Bo (Bo #2), Shishi No Kun (Bo #3), and Hamahiga No Tuifa. . Shimabuku later incorporated two additional kata into his repertoire: Sunsu and Kusanku Sai. Sunsu Kata was a combination of the other seven Isshinryu empty-hand kata as well as many of Master Shimabuku’s favorite fighting techniques, named for his grandfather, an Okinawan dance master. Kusanku Sai was an adaptation of the empty-hand Kusanku Kata and Kyan No Sai (Short Sai). During World War II, Master Shimabuku taught Karate to the Japanese Marines. His small business was destroyed during the war and afterwards, he worked for one of his students transporting bricks to the construction site of the new Kadena Airbase. At this time, he also began to teach an eclectic style of Karate called Chan Mighwa-Te (Small Eyed Kyan’s Karate), which was a combination of Shorin-Ryu and Goju-Ryu, named in homage of Master Shimabuku’s most pervasive Karate influence, Chotoku Kyan, who died in 1945 as a result of starvation from the war. 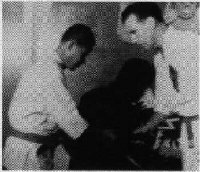 Master Shimabuku began experimenting with a number of new, innovative techniques, most notably the vertical punch and block which he later added to his new system of Karate, although he still taught the traditional twist punch and block in Chan Mighwa-Te. On January 15, 1956, he officially announced the formation of a new style of Karate, Isshinryu, meaning “One-Heart Way.” He chose this name because, according to Shimabuku, “all things begin with One.” Beginning in 1955, Shimabuku began to instruct a number of U.S. Marines in his front yard in Kyan Village. In February 1956, Don Nagle became the first American of note to train with Master Shimabuku at his original dojo. In 1957, Harold Long also began training with Master Shimabuku in Kyan Village. In 1958, the dojo was moved to Agena in order to be closer to the military bases and Master Shimabuku secured a contract with the U.S. Special Services to teach Karate to the U.S. Marines for $250 each month. In March 1958, Harold Mitchum began training at the Agena Dojo. Mitchum later trained in Shorin-Ryu with one of Shimabuku’s top Okinawan students, Kinjo Kinsoku. Arcenio J. Advincula also began training in November 1958. He trained on Okinawa with Master Shimabuku longer than any other American. He also trained in other Okinawan Karate styles and Hindiandi Gung Fu. Other Americans of note who trained with Master Tatsuo Shimabuku while serving with the U.S. Marines include Don Bohan, Sherman Harrill, Steve Armstrong, Ralph Bove, Ed Johnson, and William Blond, among others. Prior to leaving Okinawa, Master Shimabuku awarded many of his American students with Rokudan, 6th degree, certificates with the proviso that they would not claim these ranks until having trained for a certain amount of time. He did this because he did not expect many of them to return to Okinawa. Unfortunately, many of the Americans abused his generous gift and claimed the high ranks as soon as they returned to the States. In 1961, Master Shimabuku, Harold Mitchum, Steve Armstrong, and several others formed the American-Okinawan Karate Association (AOKA). Mitchum was the first AOKA president and Steve Armstrong and Ralph Bove were association officers. Harold Long was later appointed as the U.S. representative of the AOKA and A.J. Advincula was the vice-president of the association in 1963. Throughout the 1960s, Master Shimabuku continued to teach Isshinryu to the Marines on Okinawa. Many of his American students returned to the United States and opened dojos of their own. In 1964, Master Shimabuku made his first trip to the United States, staying for 3 months in Pittsburgh with Jim Morabeto, Harry Acklin, and William Duessel.. He traveled to the United States again in 1966, spending time with Steve Armstrong in Tacoma, Washington; Harold Long in Knoxville, Tennessee; and Don Nagle in Jersey City, New Jersey. At this time, all three were promoted to 8th Dan by Master Shimabuku. Harold Mitchum was promoted to 8th Dan while still training on Okinawa. Because Master Shimabuku did not enjoy traveling, he sent his son-in-law, Angi Uezu, as his representative in 1967. Uezu spent a year teaching at dojos in New York, Ohio, Pennsylvania, and Tennessee. In 1969, Toby Cooling traveled to Okinawa to train with Master Shimabuku. Prior to returning to the United States, he was promoted to Rokudan, becoming the last red and white belt promoted by Master Shimabuku. During August 1974, Master Kichiro Shimabuku, Tatsuo’s eldest son, formed the Isshinryu World Karate Association (IWKA). He sent out a letter to all Isshinryu practitioners that all ranks awarded prior to August 31, 1974 would be considered valid, but all ranks awarded thereafter must be in the IWKA in order to be recognized. Although many Isshinryu karateka continued to support Kichiro Shimabuku and the IWKA, many left and joined other Isshinryu organizations or became independent. During December 1974, Harold Long traveled to Okinawa to seek Master Shimabuku’s permission to create a new Isshinryu association in the United States. Long and a number of other high-ranking American Isshinryu black belts then formed the International Isshinryu Karate Association (IIKA). On May 30, 1975, Master Tatsuo Shimabuku passed away at his home in Agena, Okinawa, after suffering a stroke. After Master Shimabuku’s death, Isshinryu splintered with a number of associations and independent dojos. Kichiro Shimabuku administered the IWKA from Gushikawa City, Okinawa, Steve Armstrong continued the operation of the American-Okinawan Karate Association (AOKA), and Harold Long continued the work of the IIKA in Tennessee. In March 1977, Harold Mitchum, Ed Johnson, Arcenio J. Advincula, and Milledge Murphey formed the United Isshinryu Karate Association (UIKA) in Albany, Georgia. Although Angi Uezu and a number of other Okinawan Isshinryu masters remained with Kichiro Shimabuku throughout the 1970’s and 1980’s, in 1989, Angi Uezu left the association and formed the Okinawa Isshinryu Karate and Kobudo Association (OIKKA). He soon became the chief proponent of Isshinryu Karate on Okinawa. During 1994, Toby Cooling and J.C. Burris, promoted to 9th Dan by Harold Long and Don Nagle, formed the United Isshinryu Council (UIC), providing an umbrella organization for Isshinryu Karate in the United States. The UIC is comprised of the International Isshinryu Karate Association (IIKA), the United Isshinryu Karate Federation (UIKF), the Order of Isshinryu (OI), and the Tatsuo-Kan Society (TKS). The UIC sponsors the annual Isshinryu Hall of Fame Tournament and Banquet in Pigeon Forge, Tennessee. After Angi Uezu’s semi-retirement from Isshinryu in 1996, his top Okinawan student, Mr. Uechi, took over the day-to-day operations of the OIKKA and continues to work towards making Isshinryu more respected and well-known on Okinawa. A.J. Advincula continues to return to Okinawa each year to interview former students of Master Tatsuo Shimabuku. Master William H. Duessel, 9th Degree Black Belt, has been training in the martial arts for more than 40 years. In 1964 his training in Isshin-ryu Karate was heightened when he trained daily for three months with O’Sensei Tatsuo Shimabuku, when he visited Pittsburgh, PA.
His understanding and knowledge of the art is second to none. He has hosted the 1985 and 1992 Isshin-ryu World Karate Association Tournaments. He conducts numerous seminars and has produced a book, “Beyond Black Belt – How to Improve Your Training”, a “Bo Basics” poster, and instructional videos/DVD demonstrating the Isshin-ryu hand and weapons kata. Visit Hanshi Duessel’s website for more information about his products. 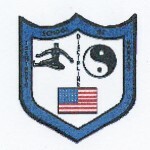 Hanshi Duessel performs many seminars during the year covering all aspects of isshin-ryu karate training including basics, kata, kumite and self defense techniques. He stresses proper form as the foundation of karate. For information about seminars with Hanshi Duessel, please contact him directly (Oct – May, in Florida) 772-597-3875 or (May – Sep, In Pittsburgh) 412-318-6486.